Levesque Pools, Maine's premier above and in-ground pool specialists. Levesque Pools is an in-ground and above ground pool company offering quality pools throughout the state of Maine. Our pools are designed and built with both structural integrity and elegant design ensuring you the pool of your dreams. We offer custom designs, giving you complete freedom to choose the shape and style of your pool. 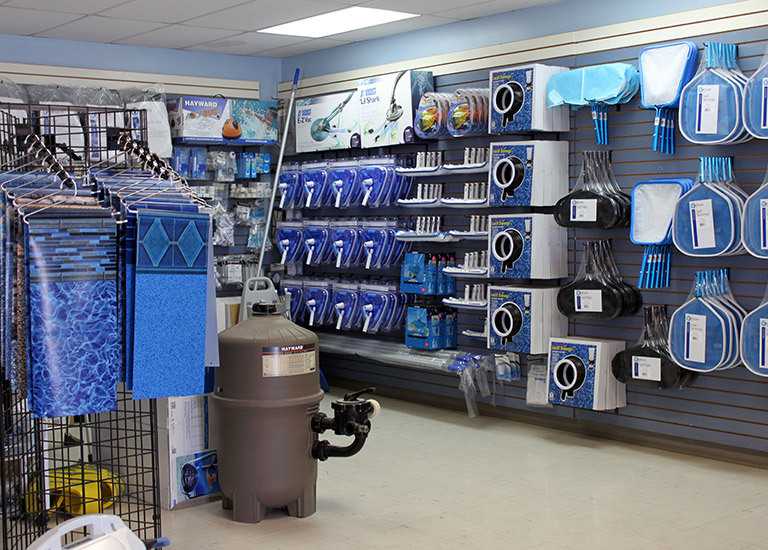 In our store you will find a wide selection of vinyl liners in many colors and designs, as well as an entire line of pool chemicals and accessories from underwater lighting and pool covers to skimmers, filters and solar pool heaters. We Make a Big Splash! 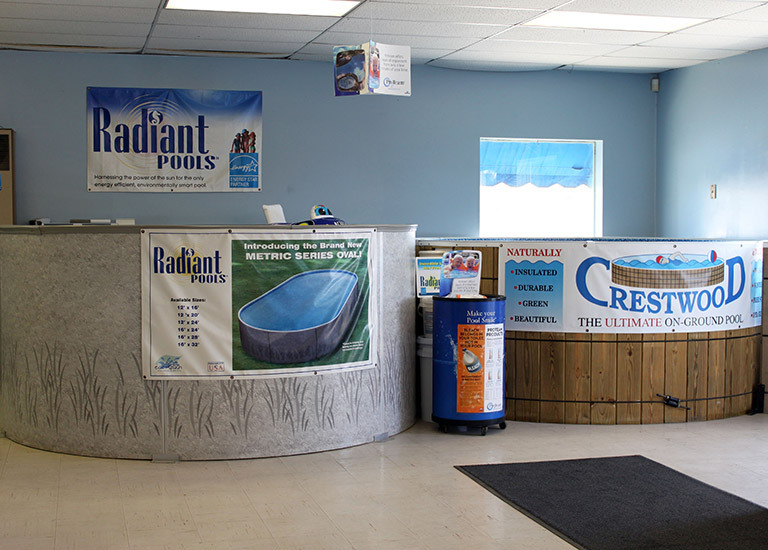 We offer all standard pool services including free water testing and analysis, opening and closings and any pool maintenance services you may need. None of our services are subcontracted out, you work with the owner one-on-one in most situations. Financing available for above ground and in-ground pools. 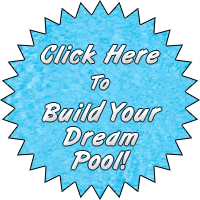 With our financing options you can install the pool you've been dreaming of this year! Ask your sales rep about our financing options. 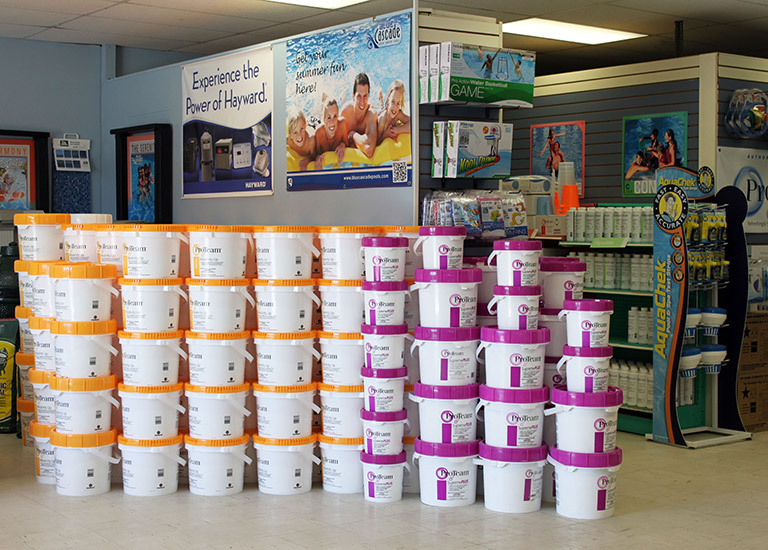 Click on our manufacturer logos to see pool types and chemical tips. Levesque Spas is next door to us in the same plaza. If you are looking for a hot tub just click on their logo to learn more about their products and services.